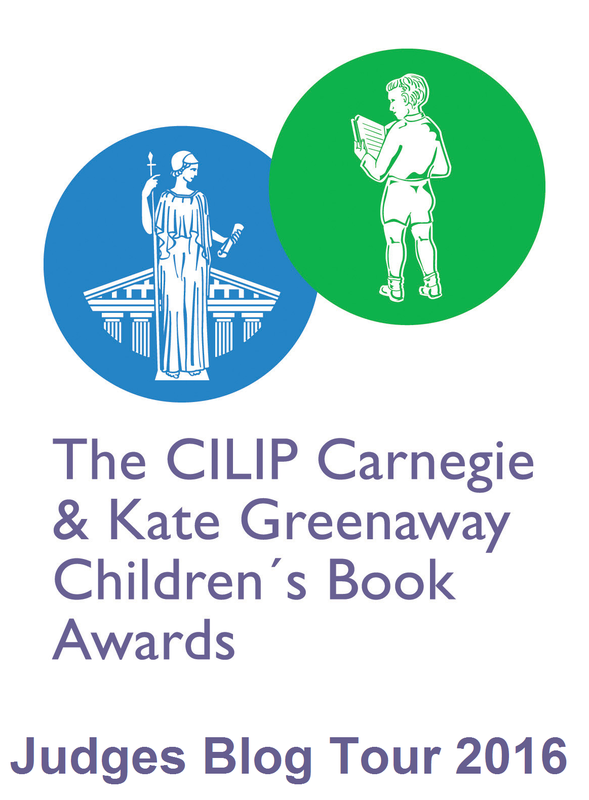 What’s it like to be a CILIP Carnegie & Kate Greenaway Children’s Book Award judge? Possibly the UK’s most prestigious award, the CILIP Carnegie and Kate Greenaway Medal judges have a huge task on their hands when choosing the winners. Ever wondered how the CKG judges arrive at their final decision? We got the opportunity to ask this year’s judges a few questions. We have a romantic vision of the judges sitting around round a table, scattered with copies of the nominated books in a meeting room. Do you get to meet and discuss the list face-to-face? That’s actually an accurate vision, we’re all checked for weapons before we are allowed into the room to prevent a replay of the events in the late ‘80s, but we do not speak of that! We all meet to thrash out the long-listing and again for the short-listing and finally to select the two most outstanding books from those lists. It would be difficult to make selections remotely. Matt Imrie, CKG Judge for YLG London. Your romantic vision is correct. We all meet and discuss the titles in extensive detail, passing them around the table and commenting on the merits of each. Once again we adhere strictly to the criteria. Tanja Jennings, CKG Judge for YLG Northern Ireland. Yes, your romantic vision is in fact the reality. We all read all of the books on the lists and then get together to discuss what we have read and make the decisions as a group as to what is selected for the next stage. Tracey Acum, CKG Judge for YLG Yorkshire & Humberside. We do get to meet and it’s essential to the judging process to be able to discuss each book face to face. As this leads to the discussion around the award criteria which is essential to the choosing of long and short lists, and eventually the winners. The discussions are really interesting and it’s amazing how your views and opinion changes during these conversations. Lucy Carlton-Walker, CKG Judge for YLG North East. That’s exactly how I pictured it before I became a Judge, and yes, it is just like that! We all meet up at CILIP headquarters in London numerous times and when Judgement Day arrives we all sit around a table with our notes and criteria and basically thrash it out. It can become quite heated because we all find different traits in each book and have to discuss them with our fellow Judges; it really is hard work, but also very rewarding. It is difficult to explain all the emotions you go through when it gets to final judging; we are all so passionate about reading and want to ensure we make the right decisions using the criteria. The criteria is paramount whilst reading and annotating throughout the whole process, even when we verbally discuss the books during our meetings. Tracey Frohawk, CKG Judge for East Midlands. Your romantic vision is close to the truth. Although judges independently read all the books they meet three times over the course of the process to choose a longlist, a shortlist and a winner. There are twelve judges, one each from Ireland, Scotland and Wales and the remainder are based in different regions of England. This year I have had the honour of a chairing the judging panel. The meetings are where each book is discussed, argued for and against as a potential winner, with the focus on the criteria. We do meet in a meeting room around a selection of small tables with a copy of each nominated, longlisted, shortlisted title, depending on the stage, though we don’t usually scatter them! Each book is discussed, and despite the fact we’re all librarians and have a tendency to put things in order, the book for discussion is randomly selected. Sioned Jacques, CKG Chair of Judges. With the closure of many libraries across the UK, is there a threat to the longevity of the CKG Awards? The closure of libraries across the UK is a major worry to all Library professionals and a reduction in library staff will eventually have an impact on the pool of YLG members available to become judges. Matt Imrie, CKG Judge for YLG London. C19th author and famed orator Frederick Douglass declared that “Once you learn to read you will forever be free”. Despite library closures and cutbacks there will always be readers and a need to entertain, educate and enrich the mind. The amount of book bloggers on the internet is a testament to that. The Carnegie Medal has recognised quality children’s literature since 1936 when Arthur Ransome won with ‘Pigeon Post’. Edward Ardizzone first took Greenaway honours in 1956 with ‘Tim All Alone’. CKG has a long history of rewarding talent and with the field of children’s publishing growing and evolving will have many exciting authors to choose from in the future. Tanja Jennings, CKG Judge for YLG Northern Ireland. If you could choose one person from the formidable list of previous Carnegie winners, who would you choose as the most outstanding and why? In 2007 the public was invited to vote for the Carnegie of Carnegies to choose their favourite winner over the past 70 years of the award. This was won by Philip Pullman. Matt Imrie, CKG Judge for YLG London. If you could choose one person from the formidable list of previous Greenaway winners, who would you choose as the most outstanding and why? The Greenaway of Greenaways (held in the same year as the Carnegie of Carnegies) was won by Shirley Hughes. Matt Imrie, CKG Judge for YLG London. Has there ever been a deadlock scenario amongst the judges? As professionals and librarians as well as being passionate about books we are always open to hearing the opinions of other judges and can be swayed. Matt Imrie, CKG Judge for YLG London. The Amnesty CILIP Honour is a new award how will it complement the current awards? The Amnesty CILIP Honour is important because it recognises the role books have in promoting human rights and empathy. It will enable shadowers to discuss thought provoking issues while developing their citizenship skills and exploring examples of injustice. Last year’s Carnegie winner, ‘Buffalo Soldier’, by Tanya Landman addressed racial and gender discrimination and the cruelties of slavery. Titles such as these enable children to think about the world and to expand their geographical and historical horizons. Tanja Jennings, CKG Judge for YLG Northern Ireland. The Amnesty CILIP Honour award is a separate award that adds to the current awards by giving one of the shortlisted titles recognition for including a message on human right values. Children’s books often deal with serious personal and world issues, and have messages on the right of the child, whether it has been written with those messages driving plot and character or not. However, the CILIP Carnegie Medal in particular has often had books with strong human right messages on the shortlist and therefore the Honour Award complements it perfectly. As the Honour Award is being judged by a separate panel, these messages are not taken into consideration by the CILIP Carnegie and Kate Greenaway judges as they are not one of the criteria, and as a judge I can honestly say that it wasn’t a consideration whilst reading. I am though looking forward to knowing which title has won, and what the Honour judges had to say about the books we as a panel shortlisted. Sioned Jacques, CKG Chair of Judges. Keep your eyes and ears peeled for this year’s winners, who will be announced on Monday 20th June.